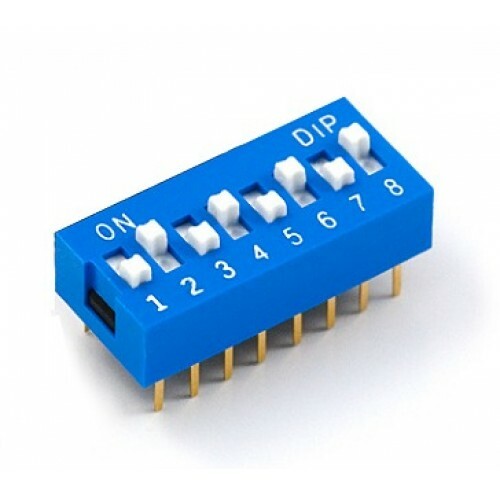 DIP switch with 8 individual switch positions. The pins have .1" spacing so fits great into a breadboard! 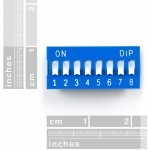 Ideal for adjusting config settings.